1. Mix the vinegar, water, oil, salt, sugar and parsley to a vinaigrette sauce. 2. 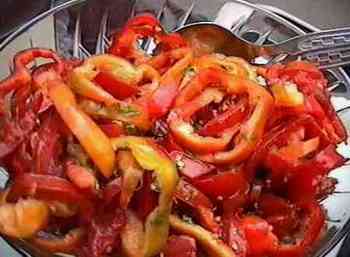 Slice the seedless pepper tubes and the tomatoes into rings.